We expect MenuGenius will encourage additional testing by medically conscious caregivers, while also supporting the cannabis industry through open information sharing. BudGenius.com, an online medical marijuana laboratory system developed by BG Medical Technologies, Inc. (OTC:RIGH), announces “MenuGenius”, a new online tool available to all cannabis caregivers. This application is offered to all cannabis professionals that signup for a free account on the BudGenius.com system. 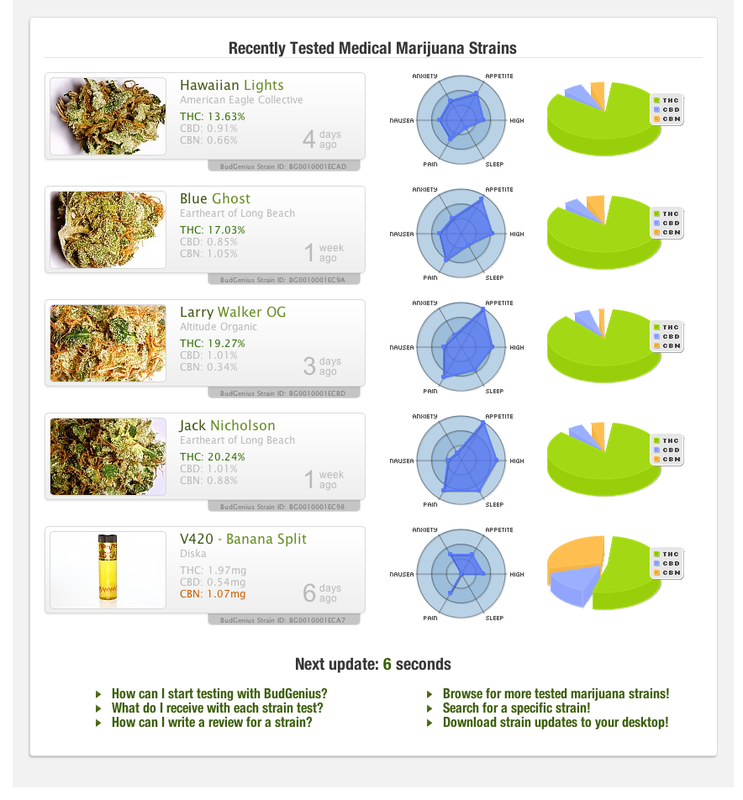 The online medicine menu displays statistics for both tested and untested variants of marijuana medicine, and is deployable to nearly any website at no additional charge. Medical marijuana directory websites can also take advantage of the tool, as it has been developed to integrate as an add-on module into several popular content management systems, offering native search capabilities for listed strains. 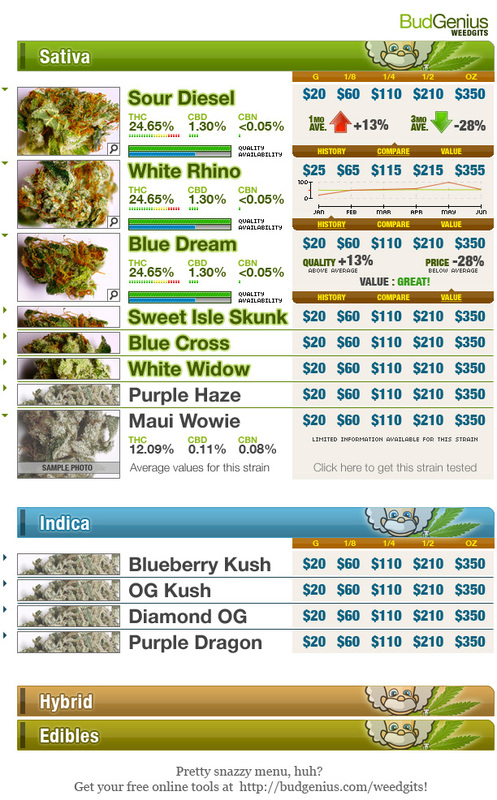 Directory websites can also increase their revenue through an affiliate business model for medical cannabis testing, which comes integrated with the MenuGenius software. BudGenius expects MenuGenius to largely replace its previously developed “badges” program, a system of deployable strain graphics for tested cannabis strains responsible for 20% of overall BudGenius.com site traffic. By introducing MenuGenius to all dispensaries nationwide this is expected to increase overall web traffic by 250% within six months, furthering brand awareness, and forming new relationships for future product releases. Ongoing increases in web traffic are planned to set a substantial foundation for BudGenius’ advertising network, slated for release later this year. Dispensaries will find the tool an appealing module to attract new patients, service current patients, and lower website development costs. Delivery services will also find the tool useful by connecting patients with their immediately available inventory. Caregivers are encouraged to deploy the menu nearly anywhere online including websites, forums, directories, and even email newsletters, all of which can be updated simultaneously in real-time. BudGenius launched an exclusive version of the menu earlier this year with strategic partner GreenbookPages.com , and celebrated with a widely distributed Los Angeles area billboard campaign. Caregivers immediately seeking a directory service that has integrated MenuGenius are invited to contact Greenbook Pages for their services. MenuGenius will be made available on April 2nd for cannabis caregivers nationwide. Caregivers interested in participating immediately are encouraged to signup at http://www.BudGenius.com/signup.html for a beta trial account. BudGenius.com is a social networking website, and leading provider of medical marijuana testing services located in California. In addition to cannabis safety screenings, BudGenius provides a unique rating system to assist patients in selecting marijuana strains more likely to efficiently treat specific medical conditions. BG Medical Technologies develops ancillary support services for medical cannabis patients and professionals, including its flagship medical marijuana research laboratory and website portal, BudGenius.com. BG Medical Technologies, Inc. currently trades under the symbol OTC:RIGH. Symbol and name change pending. BG Medical Technologies and its companies do not sell, grow, harvest, cultivate, nor distribute medical cannabis.